Investing in commercial property used to be something that only the large investment institutions and big players could accomplish with prices high and the laws involved complex. However, investing in commercial property has become simpler and much cheaper over the last few years. In addition to being easier than ever before to invest in commercial property, it is also one of the best performing assets around. You don’t have to be a high-flying investment company to see that commercial property has been a safer bet than the ups and downs of the stock market in recent years. If you are looking for a new type of property investment, then commercial property could give you the returns you want at the right price. This guide aims to show you the best ways to invest in commercial property and the benefits and dangers of commercial property investment. Commercial property might be more expensive than residential property, but the performance figures show that the rewards can be great. Over the last 10 years commercial property has outperformed virtually all over asset classes, much better than say equities or even gilts. If you invest in the right commercial property then you can have a large and secure income stream as well as steady growth in capital. So, why have people waited so long to invest in commercial property? Well, generally many investors could not afford the large costs of commercial property. Offices, shops, retail units and warehouses usually cost far more to buy and maintain than residential property, and not everyone has such large sums of money to risk on investment. However, in 2005 new rules came into play that has made commercial property investment easier and cheaper than ever before. Instead of having to buy a large property, you can now become part of a syndicate that buys a property. You can invest in commercial property with just a few thousand, and still experience some of the benefits. Of course, you still need to make the right choice when picking commercial property. You want to invest in a property that is high in demand and in an excellent location. It is also good to pick a property that doesn’t need a huge amount of repairs or maintenance, as this is going to eat into your investment returns. However, let us look at the advantages of commercial property investment first. One of the main advantages is the long-term revenue stream that can be generated with commercial property. Tenancies often run for 10 to 20 years, and so you can secure rental money for a long time to come. Also, most tenants in commercial property will pay all outgoings on the property, so you will have a clear return on investment. The income returns are excellent, with a return of between 8% and 20% possible. Compare this to 3.5% for a building society return and you can see why people invest in commercial property. Although there are some excellent advantages associated with commercial property investment, there are also some reasons to be cautious. Whilst tenants can be secured for a long time, the risk of default in some business sectors is increasing. 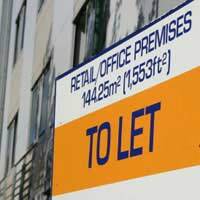 Many retail units are now standing empty because tenants can no longer run their business and compete in the market. And if this happens, selling your commercial property can take months or even longer, leaving you with an expensive property and no rental income. Also, it must be remembered that the commercial property market is different to that of residential property. If you are going to invest in commercial property, you really need to do your research and find a professional qualified to advise you. As long as you are cautious and pick a property with high tenant demand, the rewards of commercial property investment can be great. Buy or Rent Commercial Property?